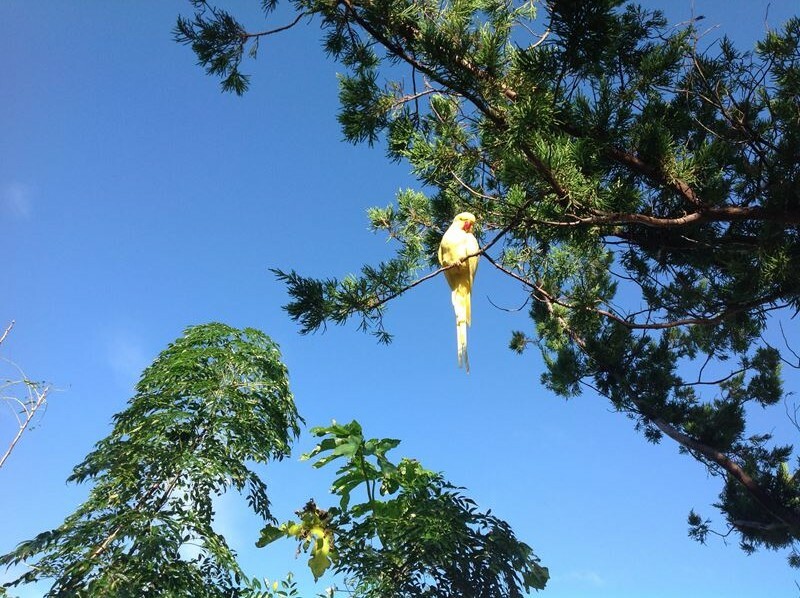 The owner of the bird is being sought and can call 599-0171 in order to get in touch with the member of the public who captured the photo below for more information on the bird’s location. 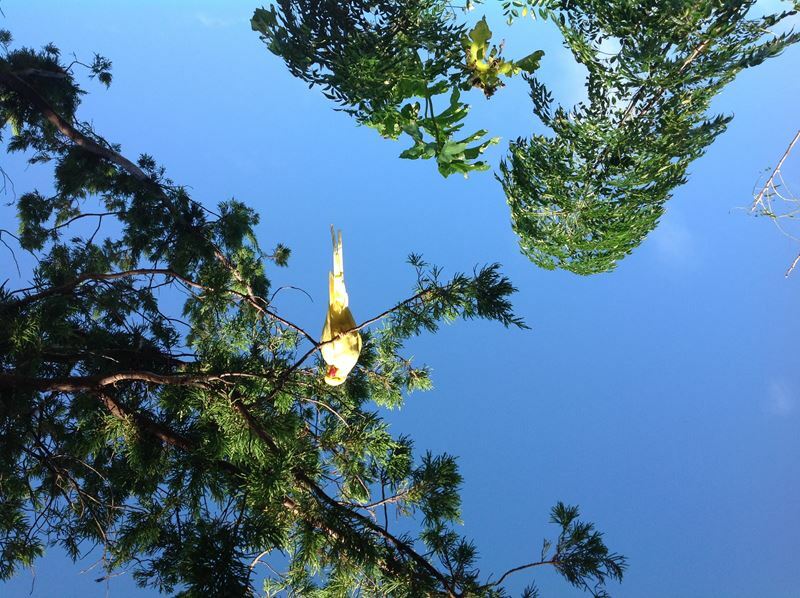 There is a posting on Bermuda Lost and Found Pets on Facebook about a yellow bird–I have shared this link. I hope the owner is found and the poor thing can be caught and returned to them.